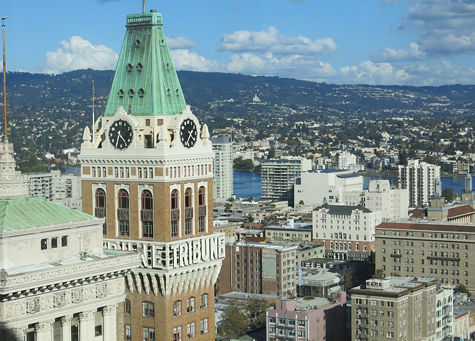 Since taking office in 2015, Oakland Mayor Libby Schaaf has made three new appointments to Oakland's seven-member planning commission. She’s also re-appointed two members. In each case, Schaaf put a developer, architect, or attorney from the real estate industry on the commission. Yesterday, Schaaf nominated her fourth new pick for the board: Jonathan Fearn, a vice president with the developer SummerHill Homes. The mayor's choices are drawing criticism from community groups and unions worried about how development in Oakland affects low-income residents and workers. Critics say real estate industry representatives on the commission aren't always sensitive to the social and economic impacts of projects and policies, and that the board needs more diversity. "The planning commission has historically been heavily weighted to include developers, architects, and others who have a financial interest in fast-tracking development, and who come from wealthier neighborhoods," said Ayodele Nzinga of the Community Coalition for Equitable Development and Black Arts Movement and Business District. Over the past year, Nzinga’s coalition has negotiated community benefits agreements with developers building along the 14th Street corridor bordering Chinatown and the new Black Arts Movement and Business District. She said her group is interested in minimizing displacement, adding more affordable housing, and ensuring high paying jobs, among other priorities. "We are disappointed in the latest appointment of a real estate developer to the Planning Commission," said Wei-Ling Huber, the president of Unite HERE 2850. "Every Planning Commissioner appointed since 2015 works for the real estate development industry as a developer, lawyer, architect, or real estate agent." Unite HERE 2850 has advocated that project approvals be contingent on developers agreeing to uphold Oakland's labor laws, and whether a project will create living wage jobs. Karolyn Wong of the Community Coalition for Equitable Development said that the lack of occupational diversity on the commission has caused unnecessary delays on important votes. "The commissioners often have to recuse themselves because they are in close financial or business partnerships with the developers applying for projects, and the result has been a lack of votes to reach quorum leading to project approval delays," said Wong. A review of planning commission records by the Express shows at least 51 recusals by different commissioners on votes concerning 31 items in 2016, due to conflicts of interest. The commission considered a total of 95 items in 2016, according to meeting minutes. In other words, in one out of every three projects voted on by the planning commission last year, at least one commissioner had to recuse themselves. In many cases, the recused commissioner had worked on the project under consideration, or represented a project applicant in legal proceedings in another city. Candice Elder of the East Oakland Collective said the planning commission currently doesn't reflect the geographic diversity of Oakland. She noted that all but one of the commissioners — Jahmese Myers — live near Lake Merritt, or in North Oakland, Rockridge, and the hills above Piedmont. A review of property records by the Express confirmed Elder's observation about where the planning commissioners live. Elder added that East Oakland residents are concerned about affordable housing. They feel the city should be doing more to ensure projects include units that are deeply affordable. "There needs to be a balance on the commission to hold the city and developers accountable, to make sure there's affordable housing in these new projects," she said. Naomi Schiff of the Oakland Heritage Alliance echoed Elder: "Historically, East Oakland has been wildly underrepresented on the planning commission." "More than half of Oakland is east of the lake, and there are big issues coming up," continued Schiff. "We have the Coliseum area, Oak Knoll, and potential proposed zoning changes that will really affect the area. We also have bus rapid transit coming through, so there's a lot of real estate pressure." Schaaf's recent nomination of Jonathan Fearn would fill a seat being vacated by landscape designer Chris Pattillo. But Fearn’s appointment would maintain a planning commission with six of the seven members hailing from the real estate industry, or having clients who frequently have matters pending before the commission. And Fearn, according to county records, lives in North Oakland. Fearn's current employer, SummerHill Homes, has built residential housing in Pleasanton and Moraga. Fearn previously worked as a manager with EM Johnson Interest, better known as UrbanCore. Two years ago, Pattillo had to recuse herself from planning commission meetings and votes regarding UrbanCore's controversial proposal to build an apartment tower by Lake Merritt on city-owned land. Pattillo's firm was a subcontractor on the project. Fearn still has to be approved by the city council. Mayor Schaaf's office didn’t respond to a request for comment for this report. Schaaf's other recent appointments to the planning commission were Clark Manus and Tom Limon. Manus is an architect with Heller Manus. He lives in the Trestle Glen neighborhood near Lake Merritt. His architectural firm has at least two major projects pending before the city: the Kaiser Auditorium remodel being undertaken by Orton Development, and a 23-story residential tower at 1510 Webster Street. Limon is a broker with Newmark Grubb Knight Frank. Limon is also a member of the Oakland Builders Alliance, a developer lobbying group whose members have numerous, large development projects pending before the city. Schaaf’s first appointment to the planning commission in June of 2015 was Amanda Monchamp, an attorney with Holland and Knight who specializes in land use law. Monchamp, a resident of Rockridge, was the planning commissioner with the most recusals in 2016. Schaaf also re-appointed Adhi Nagraj and Emily Weinstein to the commission in June 2015. Both Nagraj and Weinstein work for Bridge Housing, an affordable housing developer. Communities for Equitable Development launched a petition yesterday asking Mayor Schaaf to reappoint commissioner Myers to a second three-year term, and to also appoint a Nischit Hegde to the planning commission seat being vacated by Patillo, instead of Fearn. Hegde is a staff member of the union AFSCME 3299, which represents workers at University of California campuses and medical centers. Hegde previously worked with Unite HERE. 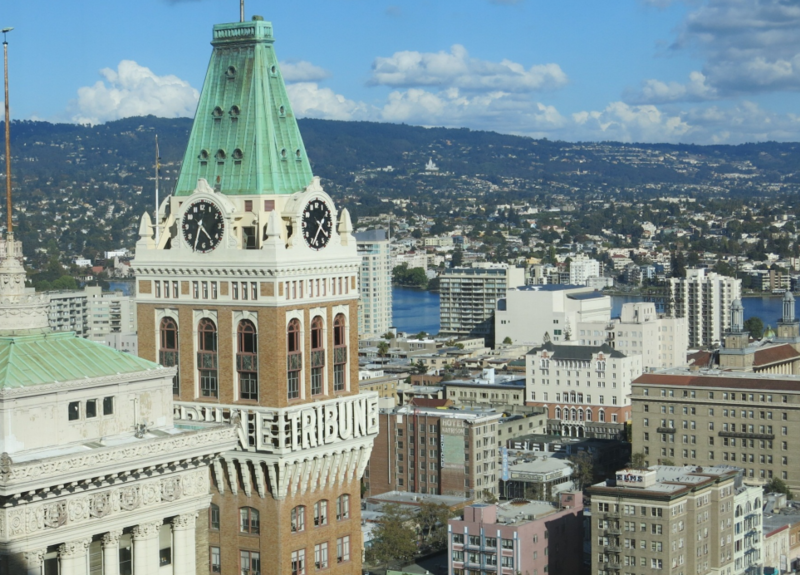 Last year, Unite HERE 2850 asked the city planning commission to deny an application for a new hotel in downtown Oakland because the developers violated Oakland’s minimum wage and sick leave laws at other hotels they currently operate. The union implored the planning commission to consider social and economic impacts of approving a hotel run by a company accused of labor law violations. The planning commission approved the project, however. "The Commission is desperately in need of diverse voices that can represent the interests of working-class communities of color in Oakland, who are bearing the brunt of skyrocketing housing costs and rising income inequality," said Wei-Ling Huber of Unite HERE.